Isn’t that an astute observation? 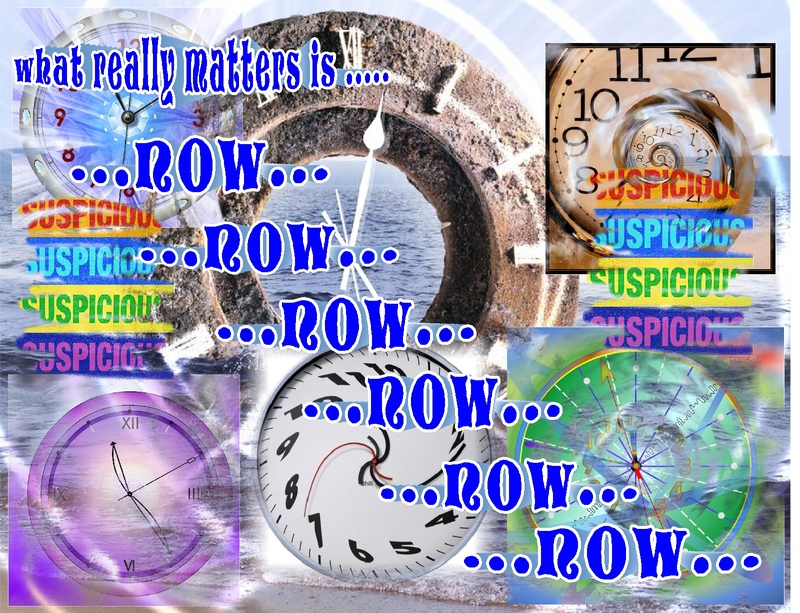 This entry was posted in Awareness, Mindufness and tagged Awareness, Inspiration, Life, Mindfulness, Wisdom. Bookmark the permalink. 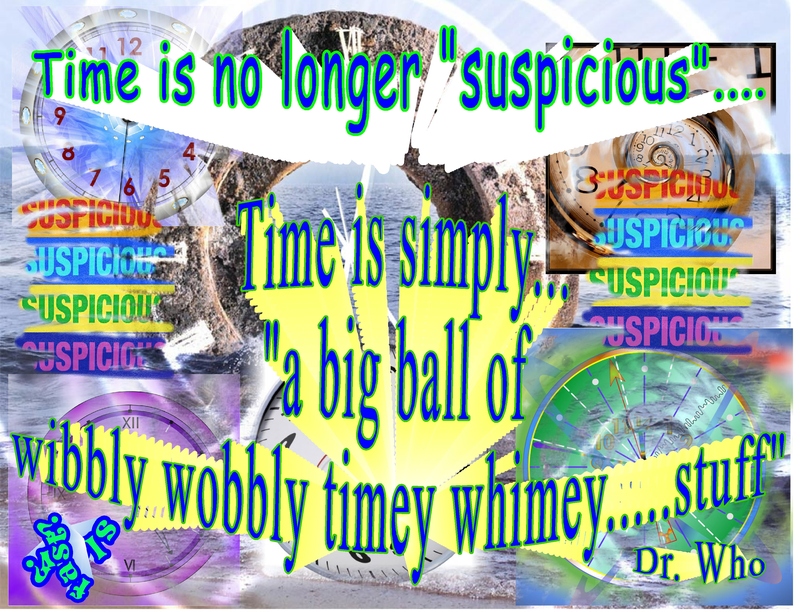 what a wise young man, Time truly is suspicious which, of course, makes me wonder if it is not man-made! 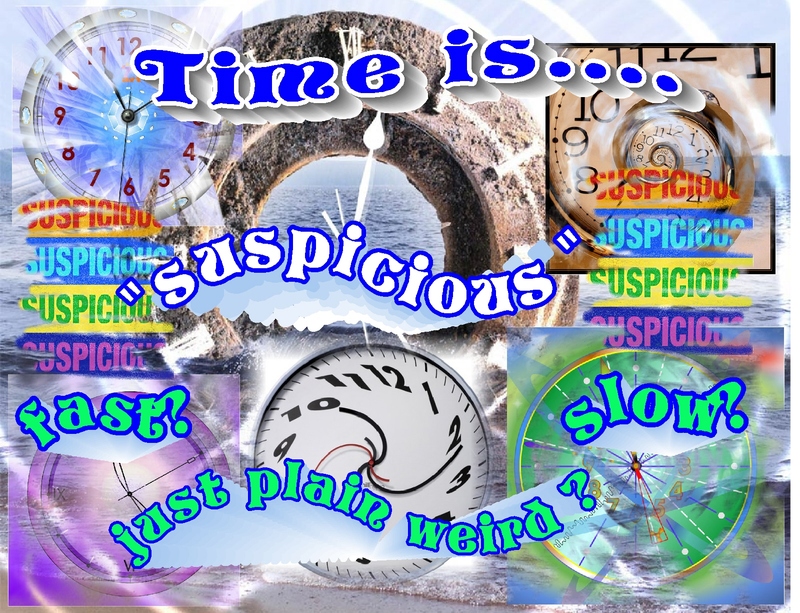 That is so cute, an 8 year old declaring time is suspicious. 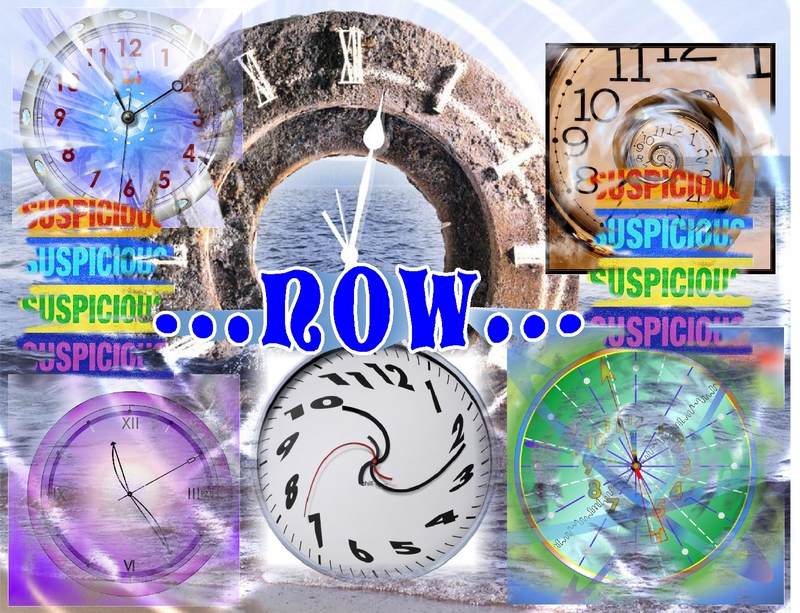 🙂 Time is an illusion, so the sages say, but then I wonder how do get out of identifying with time when everything in our experience suggests the influence of time. I’ll change that first letter to the one that’s to its left on the keyboard and say that I like time when it’s auspicious. 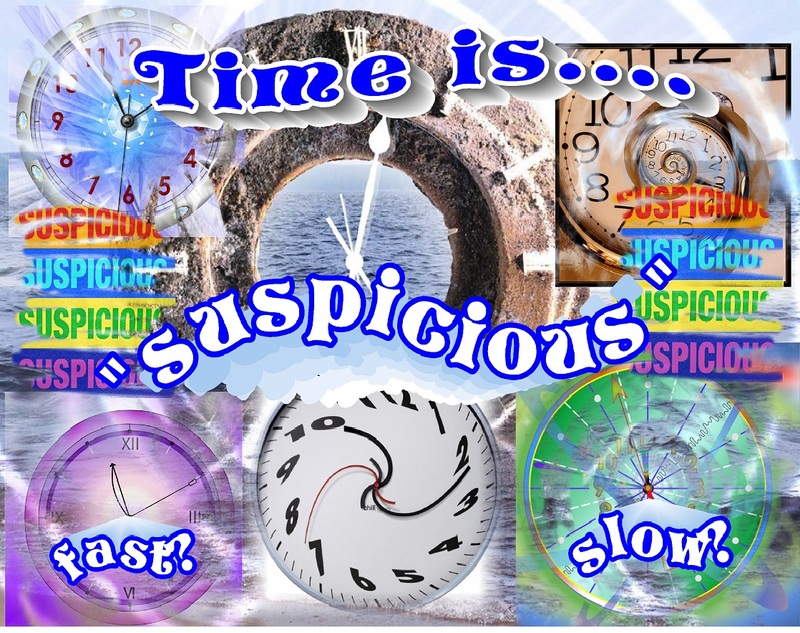 Oh……that is wonderful!…..”time is auspicious”….. !! From out of the mouths of babes . . . oh, this is nice! I really like the way you’ve captured that young wisdom! Isn’t it remarkable that he made that observation and then I spent months pondering his idea?? ?…out of the mouths of babes, indeed! We take time for granted. It’s there…on the clock…on our watches. What’s its substance? Is it tangible? Can we taste it, touch it, see it, hear it, feel it? But just because we can’t hold time in our hands…doesn’t mean it’s without value. We might try applying this metaphor to other things. Life’s treasures…are not always measureable. 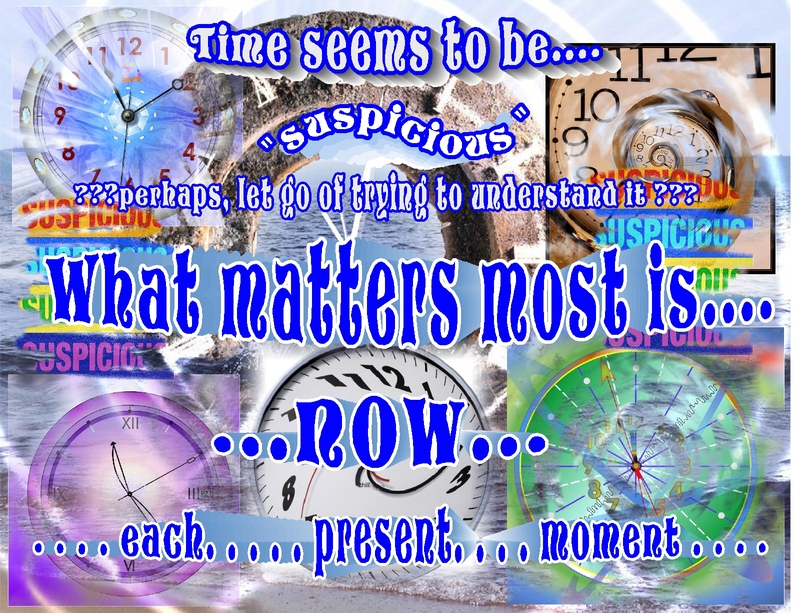 ah, yes….life’s treasures aren’t measurable… and time is so precious, so very very precious…suspicious in how it passes, but precious…well, wait a minute, actually maybe time isn’t precious…maybe what’s precious is what we do with our time or the relationships we nurture as time is passing….. ??? maybe so?